Mirror Magic North Texas | How Does The Mirror Photo Work? How does Mirror Magic work? Mirror Magic is the perfect combination of modern technology and a full-length mirror. The mystery is found behind the mirror, where you’ll find a Canon DSLR camera, and all components necessary to create amazing photos! 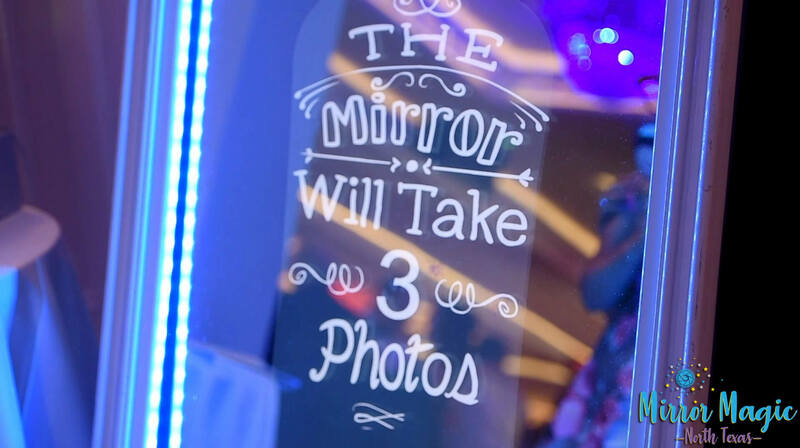 But Mirror Magic is much more than a fancy photo booth! It’s the center of interactive entertainment for your event! Guests can engage with the touchscreen with just the tip of their finger! They only need to grab-a-prop, touch the screen and strike their best pose! The animation will countdown until their photo is taken. The software offers a quick preview ensuring everyone gets a fabulous photo! After the camera takes a photo, guests will be prompted to sign their photos! This is when people get excited! With a simple drop-down menu of color, everyone’s finger becomes a paintbrush as they create their very own Rembrandt right on the mirror’s touchscreen. They can complete their masterpiece by adding their favorite emoji to reflect the event and their mood. 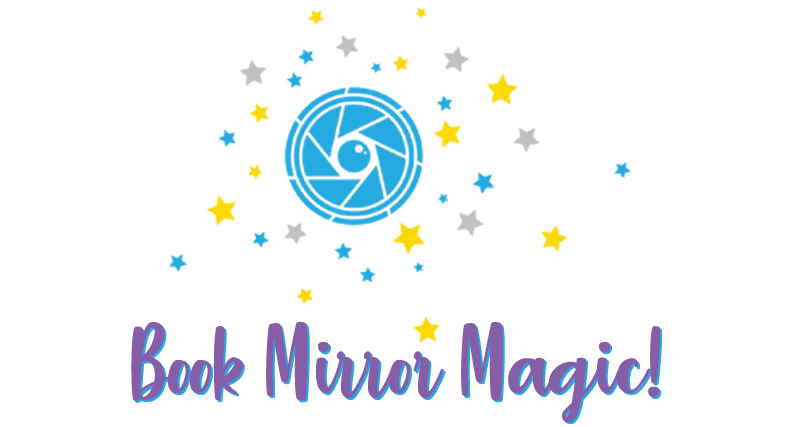 Mirror Magic is a modern-day canvas, that helps everyone find their inner artist! All artwork is perfectly placed on their photo images, and a printed photo is theirs in just a few seconds! Our service offers unlimited 4x6” prints, and free e-sharing by text, and email for everyone! Making Mirror Magic perfect for any event, especially corporate branding, grand openings and charity fundraisers. Reserve your event today online with just a few simple steps! Our service also includes pre-event planning for you with customized artwork for your photo template; including your colors, theme, or message to make sure it’s just right for your special occasion. Next we create a workflow for the mirror booth of animations, and features that are selected specifically for your wedding, birthday celebration, corporate or private event. 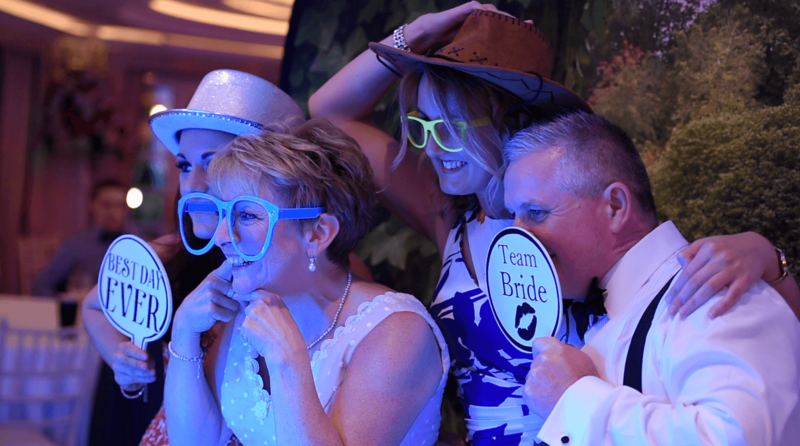 The ability to personalize every event is what makes the mirror so unique, and truly sets it apart from any other photo booth out there! 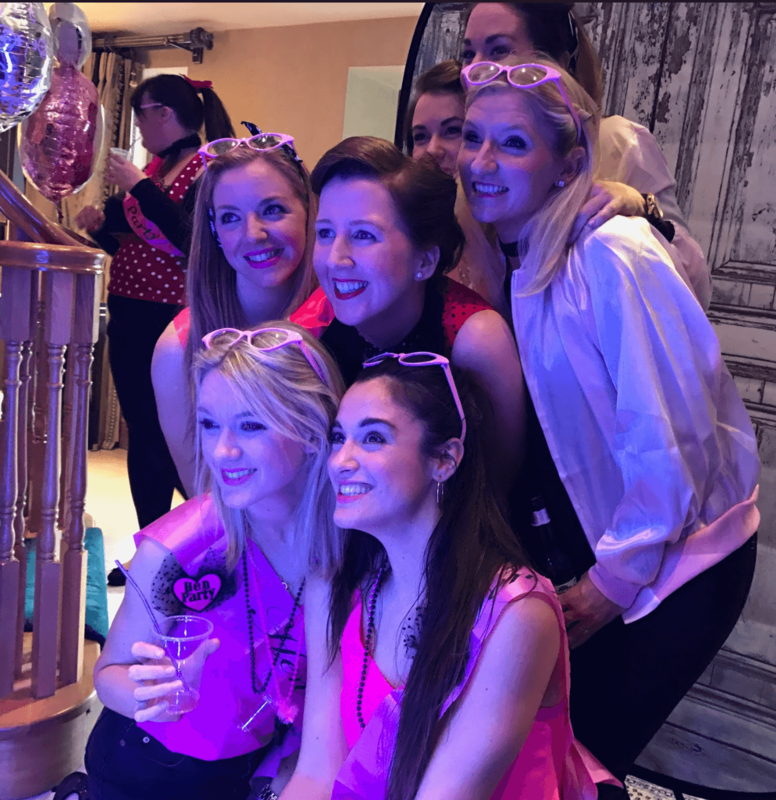 Memory book – keepsake with the best photos of your event! With a little magic, and a talented team of graphic artist we can create a custom animation for you for your wedding day! This video showcases some samples, but the possibilities are endless! All we need to start is the happy couple’s names, wedding date, and personal message! Our art department will create a special start screen animation for the mirror, just for you. The bonus is when the custom animation is complete, you can use the video on your social media, and your wedding website too! Be inspired by this animation video! Message us for rates, as every animation is different.